I always have a reason for posting giveaways, and I'm selective about which ones I post, and on which blog I post them. This sounds like something that might help kids who either don't have the motor skills to make a bed "perfectly" (and goodness knows some of our kids won't do anything if they can't do it perfectly), or who just need a boost in the personal hygiene/life skills department. Check it out and let me know what you think, so I know what kinds of giveaways to keep an eye out for. 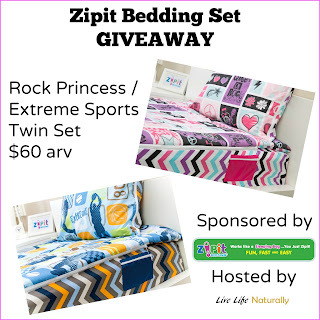 Get cozy for fall with a new bedding set from Zipit - seen on Shark Tank! Fun designs and a unique zipper connection of sheet and comforter means this bedding stays in place and keeps you cozy all night long! 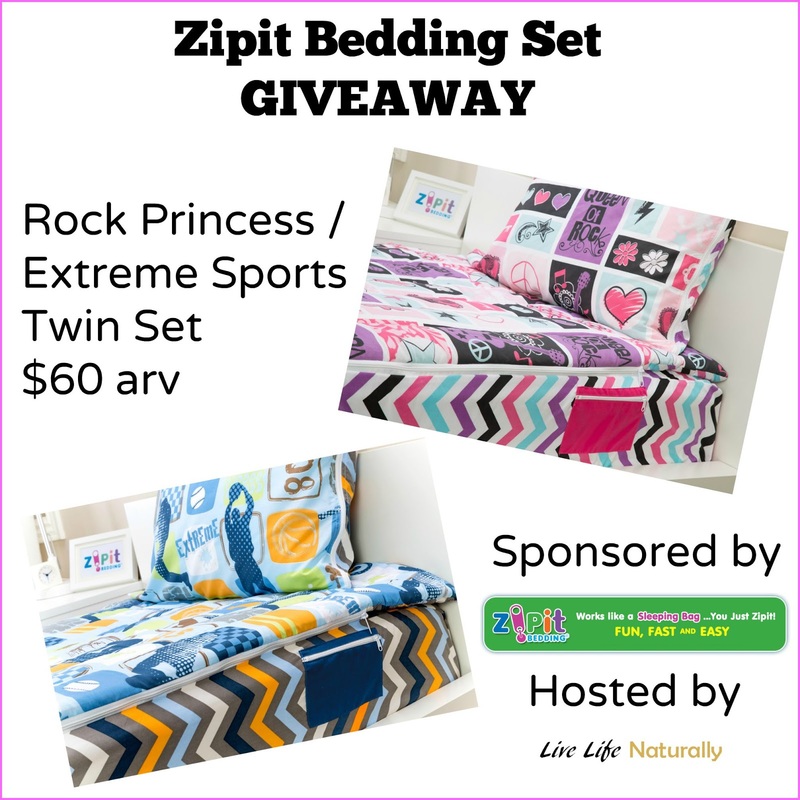 Enter below to win a Rock Princess or Extreme Sports set including fitted sheet, pillow case and comforter. Open to US residents only. Ends on October 13. Winner will be emailed and have 48 hours to respond. Good Luck! Disclosure: The host of the giveaway, Live Life Naturally is responsible for choosing winners and distributing prizes. There Is No Normal is not responsible for choosing the prizes, winners, or distributing prizes in this giveaway. This blog is merely posting a giveaway in which I think my readers will be interested. Regardless of your feelings about a "made-up holiday" it's fun to dress up and do something special every now and then. If you can have fun while supporting a great organization, that's even better! If you live on the south side of Atlanta, this is the place to be on Saturday, February 14, 2015. Featuring an open bar, live music, dancing, and a three-course meal, the Soiree will satisfy all your classic night-out needs. Knowing your contribution will help others in your community will help complete the enjoyment of the evening. You Are Your Child's Best Advocate. Trust Your Instincts. I spent the day yesterday with a few other parents in our special needs support group. We didn't spend every minute talking about our kids, but when we did, it was great to know that the others "got it." Which got me to thinking about how fortunate I am that our homeschooling friends "get us" too. A couple of years ago, Jack was injured on the zipline at a friend's house. He had been nervous about getting on it in the first place. The other moms, rather than making a big deal about his injuries (after we knew he was okay, but bruised), all made an effort to tell him how brave he was to get on the zipline. It wasn't patronizing, and it refocused his brain to his accomplishment rather than his fear. Then I remembered back when Jack was smaller - around four or five - and I spent a lot of time reading stuff about ADD, ADHD, and food dyes and preservatives, trying to figure out how to help him. A friend told me that as long as I was looking for something wrong I would find it, and he was fine. Of course, Jack is "fine," but there are also several things going on - even more than I could have imagined all those years ago. And that friend and her negativity are no longer part of our lives. When asked for parenting advice, my go-to answer is, "God specifically gave you those children. He also gave you the common sense to know how to care for them. Read, ask others, but in the end, trust your instincts. You know your child better than anyone." A neurological diagnosis doesn't fix everything, nor does it even change anything, really. But if it helps you determine the best ways to help your child cope, or enables you to get help that your child may need, then don't give up. When friends, family, or even doctors tell you that nothing is wrong, use your instincts, and continue to be your child's best advocate. If you have a child with special needs, you know how hard it can be to get your child set up in a school. You have IEP meetings, struggles with teachers, parents, and school staff all trying to find the best way to meet the child's needs and still get everyone through day. If you have child with autism, you know that change is not a good thing. A local family is dealing with both of these factors. For their privacy, we are not making their identity public, but I do know them personally, and I know that Mom and Dad only want what's best for their son. Dad was laid off in December. The Boy is ten, and because of his particular issues, has never been able to attend one complete school year at one school. The Boy is now at a school where things are working for him. Dad does have a few job prospects, but they do not seem to be in a hurry to give him an answer one way or another. As of right now, the family will have to move out-of-state to live with family until Dad can find a job. This will mean that The Boy will have to leave his school and start a new one with just two months left in the school year. Our local support group has set up a fundraiser to raise the money to get them through the end of the school year. (Prayers that Dad would find a job before then would be fabulous, too.) The family did not ask for money, but they are aware of the fundraiser. (I also asked permission before writing this blog post.) All money goes directly to them and does not even pass through the hands (or accounts) of the organizers (although I know them personally, too, and they're completely trustworthy). Any and all help is greatly appreciated. 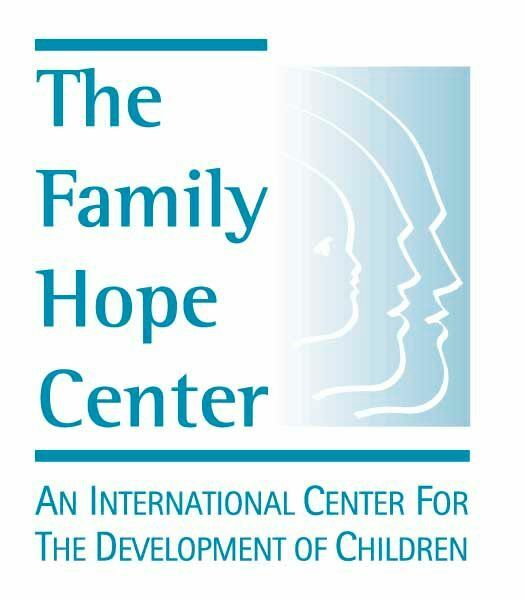 This is a family that doesn't hesitate to help others, as I can personally attest. If you would like to donate, the link is below. You can also help by passing this on. Why: To help The Boy complete a full year at his school for the first time in his life. 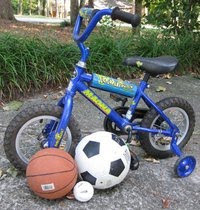 Uses: Living expenses to help The Boy's family stay where they are so The Boy can stay at his current school, with the services that are working well for him. YUMEARTH ORGANIC & NATURAL HALLOWEEN CANDY IS A TREAT, NOT A TRICK! YumEarth’s great taste comes from real fruit juice and natural ingredients, instead of scary artificial colors and flavors. This Valentine’s Day say “I love you” and “I care” with YumEarth Organics sweets. YumEarth all-natural and organic candy gives families the opportunity to give the gift of delicious treats made with real fruit juice, no artificial color or flavors, no high-fructose corn syrup and none of the common allergens, like gluten, soy and nuts. Let’s make a commitment this Valentine’s Day to write about and give out better-for-you Valentine’s Day candy, like YumEarth.